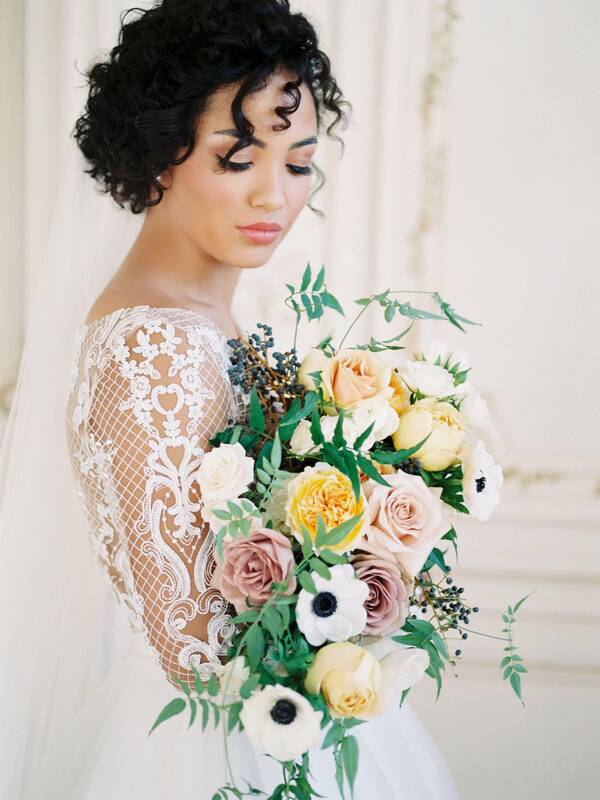 I'm loving the grandeur of this beautiful shoot from a Colorado based team. Captured by SARA LYNN PHOTO and designed by THE STYLED SOIREE, this Royal Rococo Wedding editorial was influenced by the intricate filigree detailing of the architecture of the COLORADO SPRINGS SCHOOL. The Rococo splendour of the original moldings, chandeliers, iron work, and wallpaper made for the perfect setting to showcase luxurious fabrics in the TARA KEELY gown and table linens. 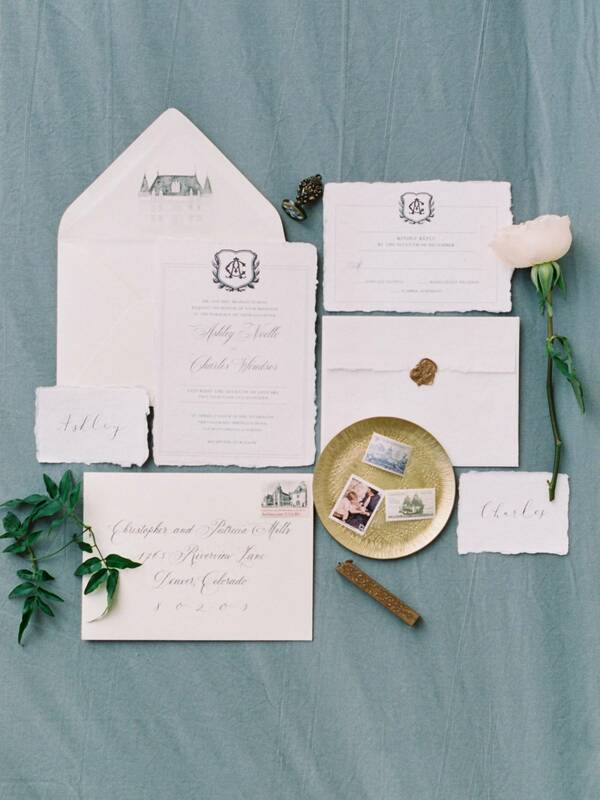 "We chose a palette of deep plum, dusty mauve, buttery yellow, and navy blue to add richness and old world romance. The flowers by PREMA added texture through garden roses and winter berries. The cake by ASTONISHING CAKES was designed to reflect the opulence of the setting, and was surrounded by a floral installation, making the cake appear to rest on a bed of flowers."